Barric is based near Cambridge, the technology centre of the UK and the home of many of the worlds leading technology companies. Being a part of the science and technology community of the Cambridge region enables Barric to remain at the forefront of electronic development and at the heart of European electronics. At Barric we believe in 'excellence through experience'. 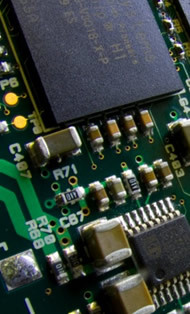 With every new project, we learn a little more about the business of manufacturing electronics. After 30 years in business, you can imagine that we've accumulated a lot of knowledge and expertise in this field. Whether its the recent challenges of the thermodynamic behaviour of lead-free components or the reliable placement of BGA devices, you can be sure that we understand the real issues and have been working with the most advanced technologies. We work very closely with our Customers, from the design stage right through to production. It's not unusual for us to liase with our Customers on a daily basis, working with them to address such issues as design revisions, components sourcing, production numbers and shipping details. You'll find that Barric is especially structured to ensure that you'll have access to the engineers managing your project and to ensure that you'll be kept fully informed at all stages. Once we take on a project, we see ourselves as a part of your organisation. If you wish to put us to the test, feel free to contact us and speak with one of our engineers. We'll be pleased to discuss your requirements and the facilities and services that we can offer.